We build it – you’ll love it! Green Touch Landscaping is a full service landscape construction company. Working from any design, our experienced crews can build, plant, or install anything your plan calls for. Dreaming of a custom deck or patio? We can do that. Imagining the soothing sounds of a water feature? Let us make it happen. From lifestyle elements like wood and stone structures to such technical features as custom lighting and irrigation – Green Touch brings it all together to create an outdoor living space you’ll never want to leave. How do we do it? With professional, efficient crews, the latest in equipment, and limitless imagination. And you can relax, knowing the quality of our construction is fully guaranteed. 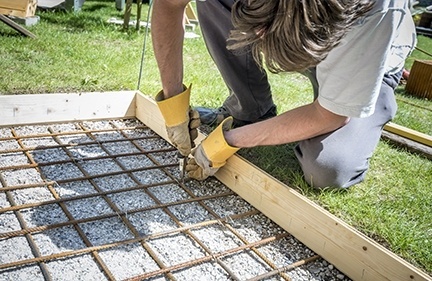 Talk to us about retaining wall systems, paving stone, wood projects, water features, irrigation systems, outdoor lighting, and soft landscaping. We offer a wide variety of industrial and commercial landscape construction options, including harrowing and seeding,hydroseeding, tree planting, and bed mulching.